Pre-Fab Putting Greens from New England Turf Store brings the look and feel of a custom artificial turf green without the design or custom price-tag. Choose from one of our 3 pre-configured designs to fit any home, office, club or school. 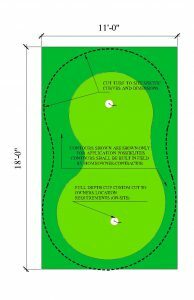 Two hole putting green that is good for the backyard or beside a pool area. Great for areas that are short on space. This product is pet-friendly. 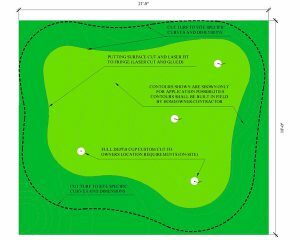 This 4 hole putting green has our top of the line putting surface and fringe. 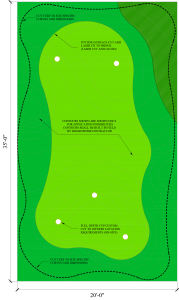 Allows the golfer to build in some ridges to simulate a real country club green. Installed by professionals with more than 3 decades of experience, you can count on us to do the job right. 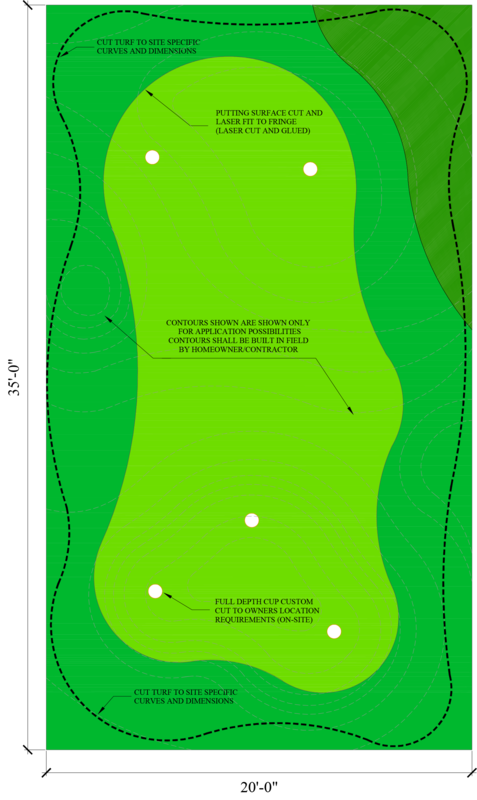 Our Custom Greens require no water or fertilizer and are better for the environment and your family. Call New England Turf Store @ (781) 821-0112 today to talk to one of our golf applications experts and begin designing your custom practice surface today.